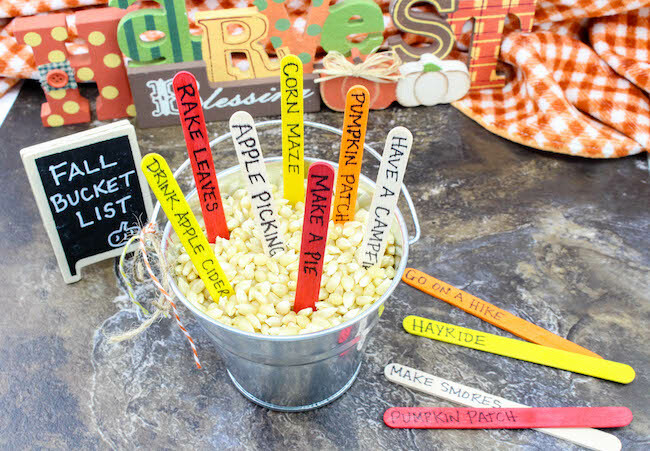 The Fall Bucket List Craft is brought to you by Just Plum Crazy. Thanksgiving Day is more than just turkey, dressing, and pumpkin pie. It’s more than just family gatherings. It’s more than the Macy’s Thanksgiving Parade on TV. It’s more than just football games. Thanksgiving is more than all of these things combined. Thanksgiving didn’t become a recognized national holiday until Abraham Lincoln was president of the United States. Oh, lots of people had campaigned to make it a legal holiday for many years, but there were 242 years between the first Thanksgiving in 1621 and its declaration as a national holiday in 1863. Better late than never, I suppose. 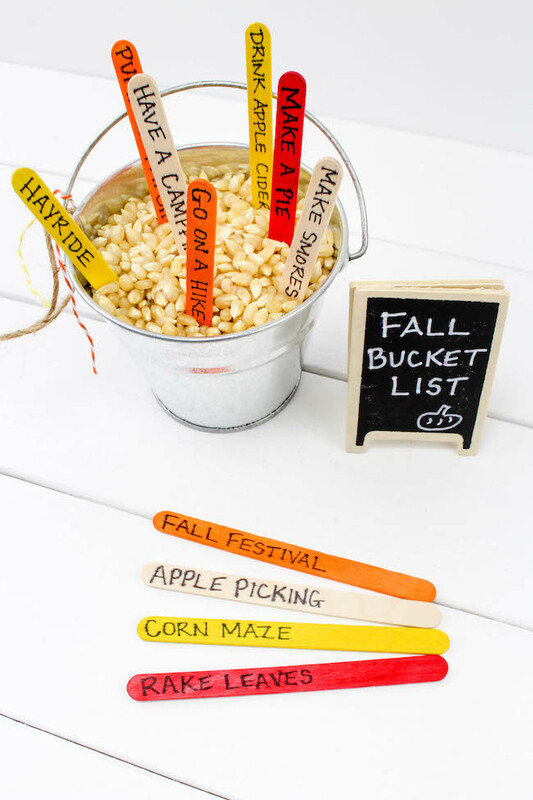 How about making a fun Fall Bucket List that everyone can join in on. 1. 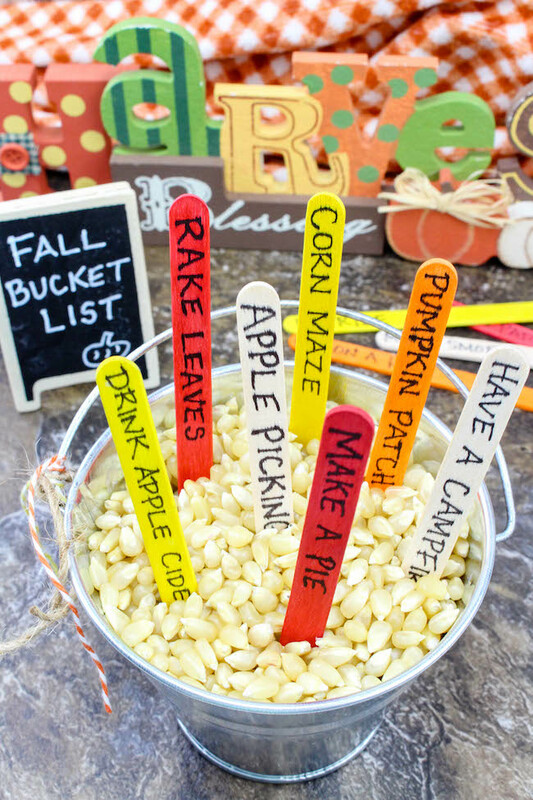 Write one fall activity, that you and your family would like to do, on each popsicle stick. 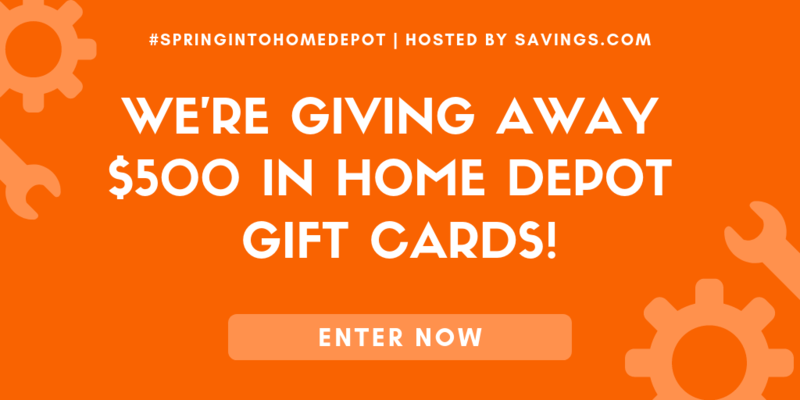 Examples: Rake leaves, Take a Hayride, Apple Picking, etc. 2. 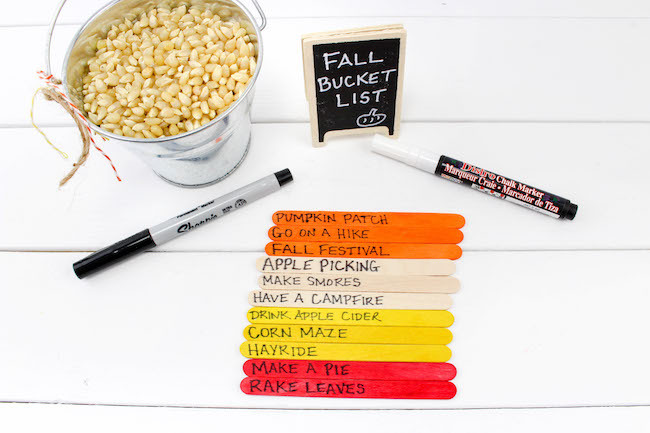 Use the chalk or chalkboard marker to write “Fall Bucket List” on the little chalkboard sign. 3. 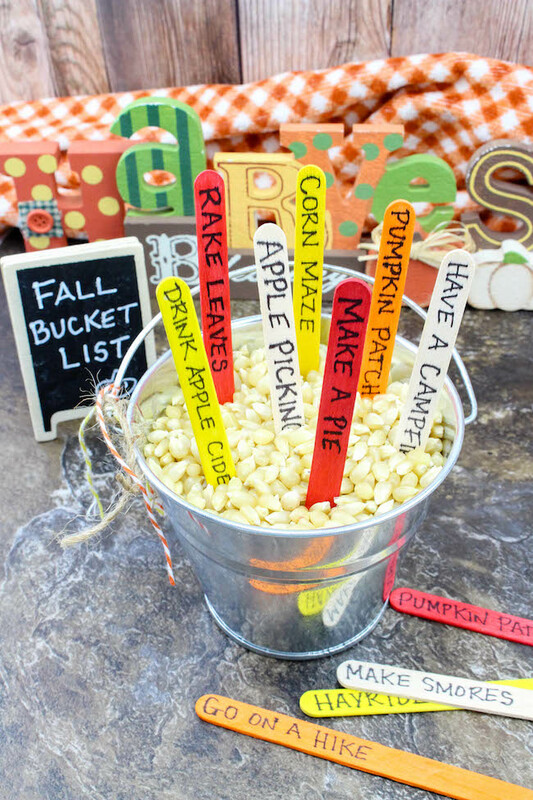 Fill the bucket with popcorn kernels. 4. 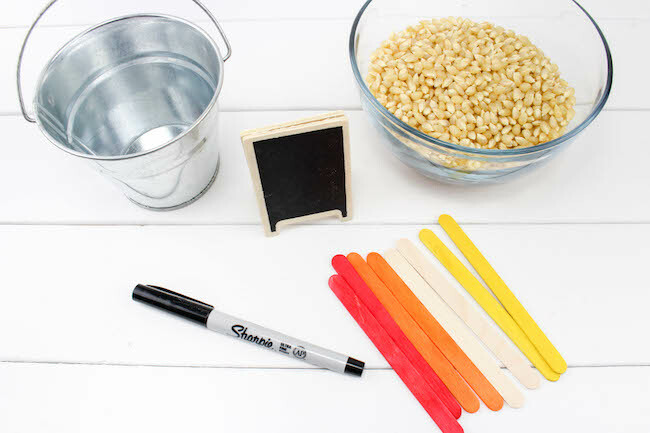 Push your popsicle stick activities down inside the bucket of kernels, and place your sign near the bucket. 5. 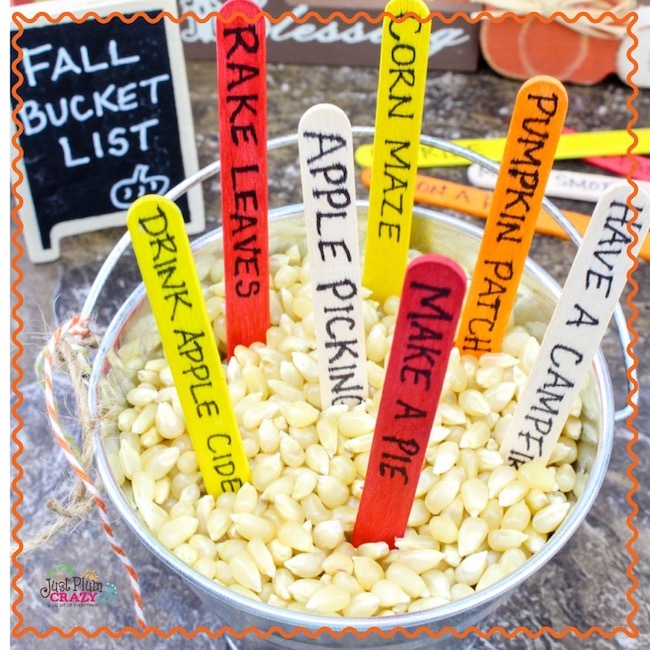 Enjoy one of your fall fun activities each weekend by taking turns choosing a stick out of the bucket! 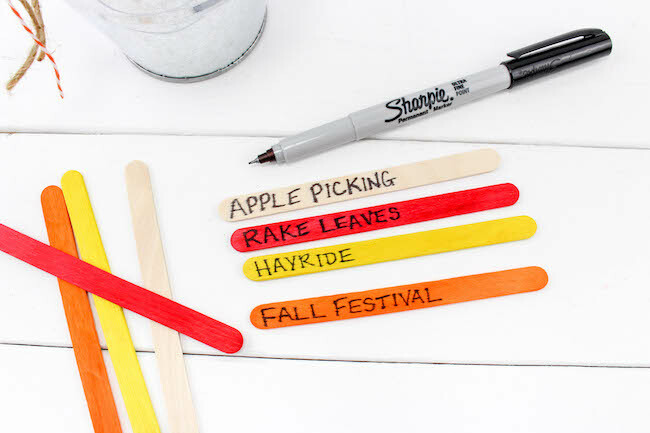 Write one fall activity, that you and your family would like to do, on each popsicle stick. 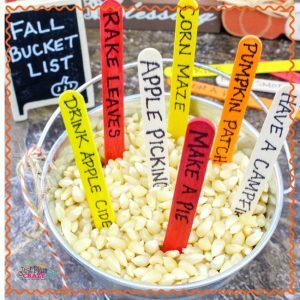 Examples: Rake leaves, Take a Hayride, Apple Picking, etc.